'Zincali' is a family band playing country eastern music from Morocco, Turkey, Afghanistan, Persia, Egypt and their own compositions. The orchestra is composed of David Brown, Ernie Fischbach, Brian Steeger, Melissa Fischbach, Marianne Steeger, Deborah Fischbach, and Barbara Brown, instruments, percussion, vocals and dance. 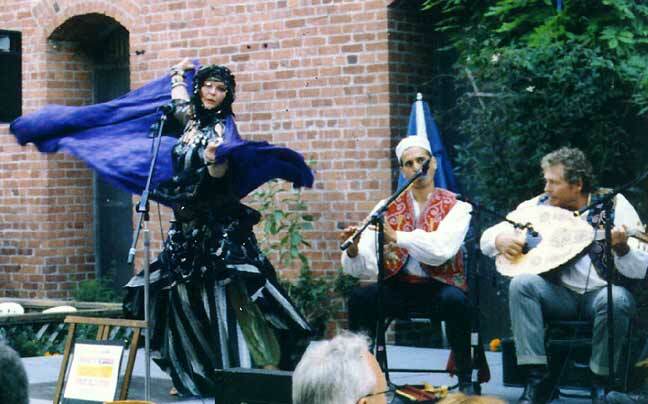 Deborah Fischbach, dancing with musicians, David Brown and Ernie Fischbach on Ney (end blown flute) and Oud (Arabic lute) San Francisco, California. 'ZINCALI' plays the Cannery, S.F. California. Kathy Guthrie, guest dancer with musicians, David Brown, Ernie Fischbach, Brian Steeger, Deborah Fischbach, Barbara Brown and guest drummer, Chris Caswell. David Brown, Ernie Fischbach, Brian Steeger, Deborah Fischbach, Barbara Brown, Chris Caswell, Marianne Steeger. Brian Steeger on violin, David Brown on ney, Ernie Fischbach on oud, Marianne Steeger on dumbek, and Melissa Fischbach on zils, singing. 'Zincali' is available for performances. Interested parties may hire the entire orchestra including dancers or a smaller band of 4-6 musicians. So give us a call and we can plan your event together. Call Ernie or Deborah at 707 937-2133 or e-mail Deborah and Ernie. Renaissance Faire with Bal~Anat 10-13-01. 'Zincali' will be at LarkCamp.com, Summer Music and Dance camp in Mendocino California. Deborah Fischbach's teaching incorporates many dance styles with emphasis on the music.2018, I will teach a finger symbol class and a critic class for advanced dancers at camp. Deb's dance philosophy the same with belly dance or any dance classes I teach, "You CAN do it!" Here are two phrases of advise that Deborah is fond of repeating and it sums up her attitude toward the dance. "Don't think, Dance" and "Your job as a dancer is to hypnotize the audience into listening to the music and enjoy it like they never have before". She also says "If you are in tune, in time and graceful, you're doing fine." Her classes are fun, she also is a musician and teaches rhythm and a bit about the melody of the Dance tunes. Folk Dances use the melody and /or the rhythm for changes in the dance. Please wear comfortable clothes, bicycle shorts with soft flowing skirt or billowie pants. Bring soft dance shoes or socks Camp 3 lodge stage or outdoors in C3. Bring Zils(finger cymbals), tambourines, small drums, castanets and scarves or large pieces of cloth. David Brown was born in New Orleans, La., in 1957; received Master of Music from the University of New Orleans in 1985. Began professional career in 1972 in wedding, dance, jazz, and Latin bands; began playing Middle Eastern music in 1978 by learning bouzouki from the local Greek community musicians. In the early 1980's studied Persian tar with Faraj Purlian and Arabic 'ud, nai and keman with Ahmad al-Chaar; performed with many if not all of the New Orleans Middle Eastern dancers during the 1980's. Moved to California in 1991; was the musical director for the Hahbi 'Ru Dancers at the Northern California Renaissance Pleasure Faire from 1991-1994. Teacher at the Lark in the Morning Music Camp from 1991-2003, leading Middle Eastern ensembles, and giving lessons on 'ud, nai, bowed instruments, zurna and mizmar, saz, and maqam, in addition to Cuban, jazz, Hawaiian and other music's.. 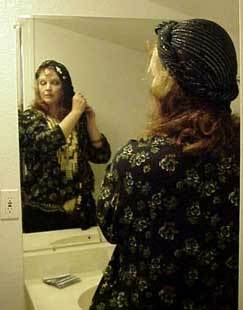 Currently composing and performing (on a very small scale) with Zincali, a traditional Middle Eastern musical ensemble; also has played with the Big Easy Dance Band (swing, rock, jazz), Los Californios, The Alta California Orchestra, Suhaila Salimpour's Bal-Anat, Afghan singer Tameem Afzali, and many others. Instruments played include: guitars, bass, mandolin, tenor banjo, Cuban tres, cuatro, cavaquinho, ukulele, Hawaiian steel guitar, bouzouki, baglama, balalaika, tar, setar, dutar, 'ud, nai, violin, rebaba, rebab, tambur, saz, mizmar/zurna, flute, dilruba, sarinda, kemanche, saxophone, clarinet, keyboards, and a variety of drums and percussion instruments. Ernie Fischbach will also be at camp and can be approached, with musical questions, for lessons and jams. 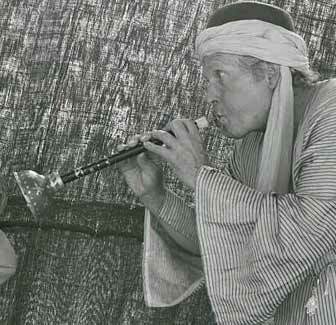 Ernest Fischbach was the Band Leader and music composer for Jamila Salimpour's Belly Dance Troupe, "Bal~Anat" 1969-73. His music for Jamila has been called, "American Tribal". In 2001 and 2002 he lead the "new" Bal~Anat troupe of musicians for dance master Suhaila Salimpour and the Bal~Anat Dance Troupe. More about Ernie, here on ITS Ernie page. Brian and Marianne Steeger will be there also. We get Barbara Brown and Melissa Fischbach to come out and play for performances which we have during the evenings. More about other bands with David, Ernie and other camp staffer's and their music at Musician Referral Service click here or look under projects on ITS homepage.